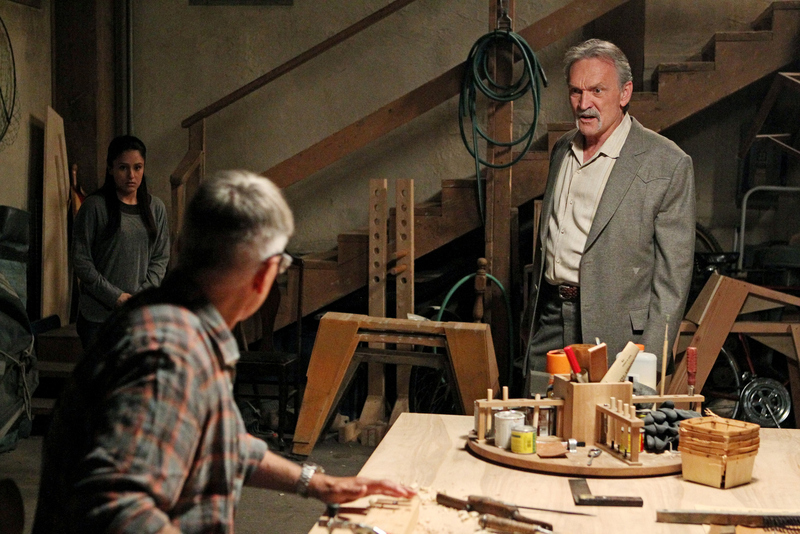 Gibbs (Mark Harmon, center) and McGee travel to Afghanistan when a murder case leads them to an Afghan women’s shelter Mike Frank’s secretly supported for years, on NCIS, Tuesday, Oct. 15 (8:00-9:00 PM, ET/PT) on the CBS Television Network. Muse Watson (right) guest stars as Mike Franks. Also pictured: Nikka Far Photo: Sonja FlemmingCBS ©2013 CBS Broadcasting, Inc. All Rights Reserved.